We've all seen those vans around our neighbourhoods with names like "Pam's Plumbing" or "Steve's Construction" on them. And you probably know a cleverly named salon or adorably named bake shop run by someone who came up with it, as they took their first step toward opening their own business. If you've always imagined how awesome it would be to have your name – or your business' name – in their place...you're not alone. Every year, more and more people are choosing to become entrepreneurs after completing training in their chosen trade, instead of pursuing traditional employment. In 2015, Statistics Canada reported that there were more than 1.1 million small businesses in Canada, with over 400,000 in Ontario alone. 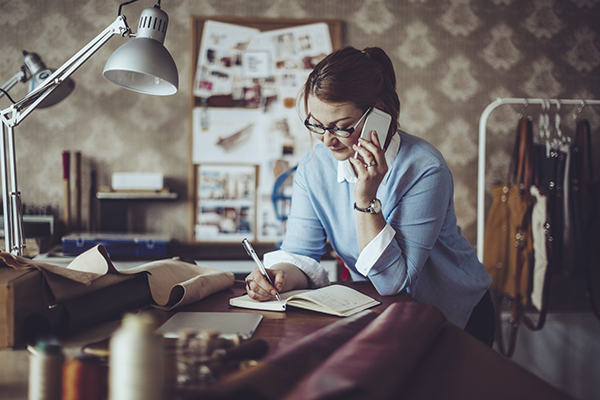 While starting your own business requires a lot of time, effort, and planning, there are many advantages to being your own boss. Imagine setting your own hours, creating your own rules, making decisions, and earning more money for yourself. You'll also have the freedom to put your own ideas to work, do what you're passionate about, and make a difference in your community. With the growing popularity of marketplace websites like Etsy, as well as the Maker and Shop Local movements, the demand for handmade, locally-produced products and services is reaching new heights. Many individuals are also looking for the personal touch in areas like home repair and contracting, with the goal of building a relationship with someone they can rely on. In both cases, skilled trades small business owners are putting their heart and soul into everything they do, from repairing a broken dishwasher, restoring a classic car, or piping intricate designs on a cake, and going the extra mile to provide a personalized level of customer service that's tough to match. To learn more about what's involved in opening your own business, visit the Canada Business Network website. Explore more skilled trades programs with our Find a Program tool.